[ALEXANDRIA, VA] – Ice cream lovers can mark off their calendars for Ben and Jerry’s annual free cone day on Tuesday, April 9, 2019. 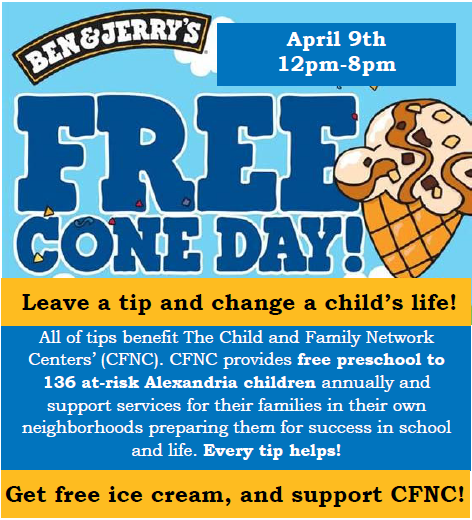 All tips will benefit The Child and Family Network Centers (CFNC), and employees and volunteers will be scooping ice cream for donations at the Old Town Ben and Jerry’s location as well as the National Harbor Location from 12 -8pm. For over 40 years, Ben and Jerry’s has dished out free scoops of ice cream to commemorate the company’s anniversary. Join us from noon to 8 p.m. for a scoop of ice cream and help raise funds for The Child and Family Network Centers (CFNC). CFNC provides caring, high-quality; free education and related services to at-risk children and their families in their own neighborhoods in order to prepare them for success in school and life. On Tuesday, April 9, you can enjoy free ice cream while supporting children and families in your own community. The Child and Family Network Center’s board of directors and staff will be joined by volunteer groups from PNC, Silverback Strategies, and others. The Child and Family Network Centers’ (CFNC) mission is to provide caring, high-quality, free education and related services to at-risk children and their families in their own neighborhoods in order to prepare them for success in school and life. 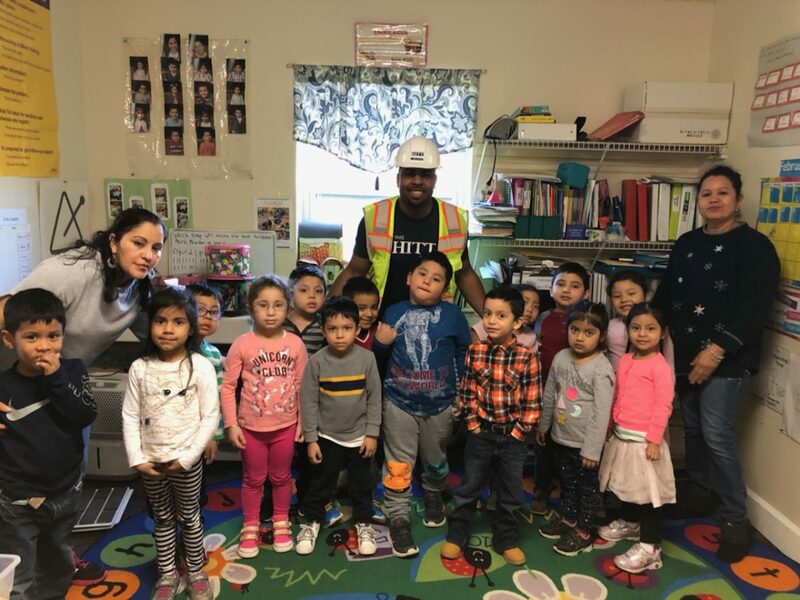 CFNC casts a broader net than similar programs offering free early education, by catering to the working poor in their neighborhoods through innovative collaborations. Featured in the 2014/15 Catalogue for Philanthropy as “One of the best small charities in the Greater Washington region,” CFNC, a nonprofit organization, relies on the community for support. CFNC has nine classrooms serving 136 children across Alexandria. To learn more about the CFNC and how your organization or business can help children, visit www.cfnc-online.org.